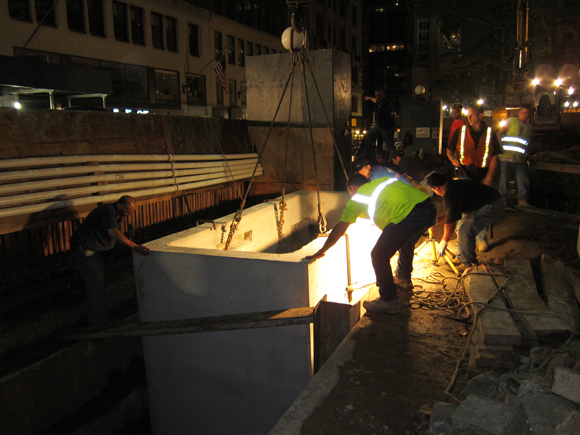 When the park's new underground electrical facility is completed, on-site transformers will pull power from the Con Edison electric grid. This electricity will be converted into a usable form and brought into the park's new switchgear room, where the power will be distributed to the park through over 300 wires. Progress on all of these elements has now reached a significant stage. 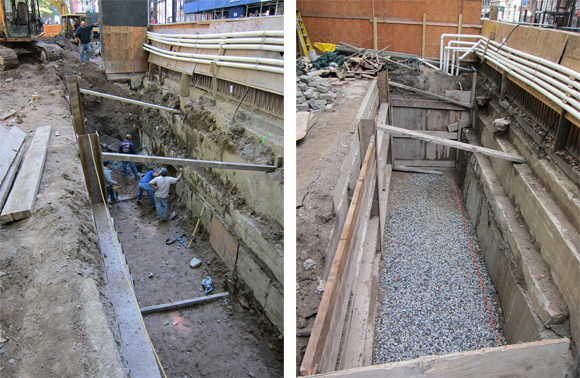 After the framework for the switchgear room was built and the concrete poured, we've made finishing touches to the switchgear room like waterproofing, preparing conduit connections, and backfilling over the roof. 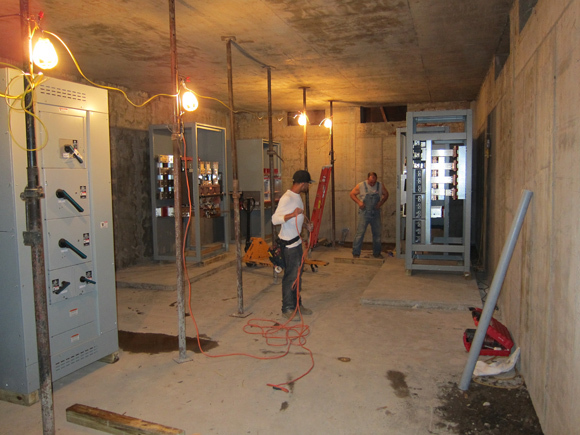 These switchgear boxes will connect to the 70 conduits and 300 wires that leave this room and snake throughout the park. 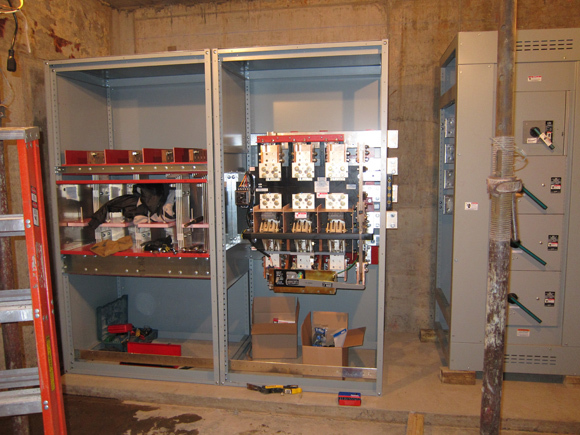 On the side of the switchgear room site, the transformer vaults are beginning to take shape. 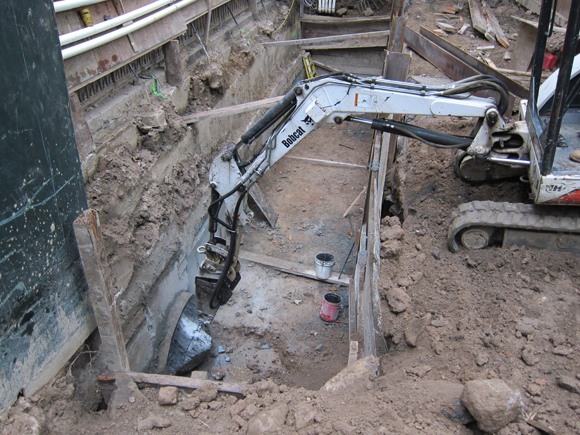 Work was done to excavate and waterproof the area with drainage materials. 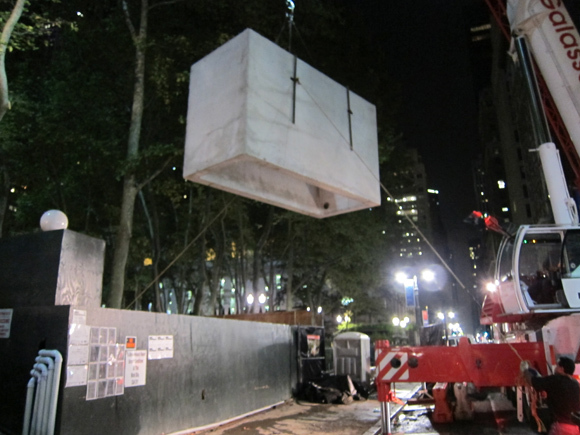 The precast transformer vaults were brought in by truck late Monday night/early Tuesday morning and lifted into the site with a crane. 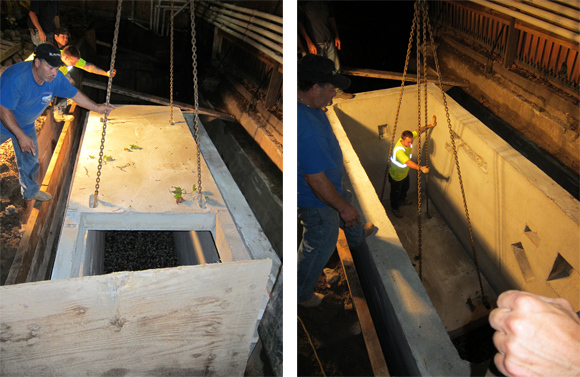 Each vault is a little over 100 square feet inside. 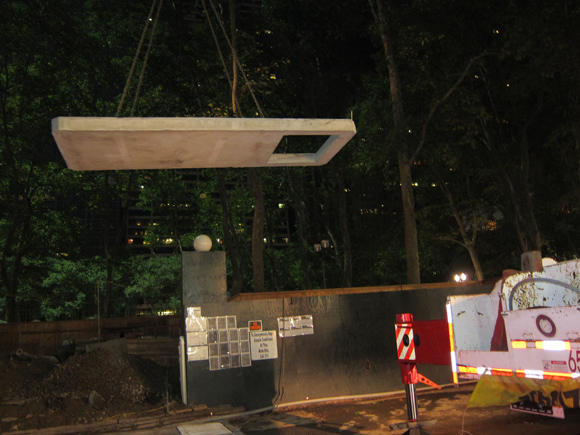 The floors and roofs for each of the vaults are also precast and installed separately. 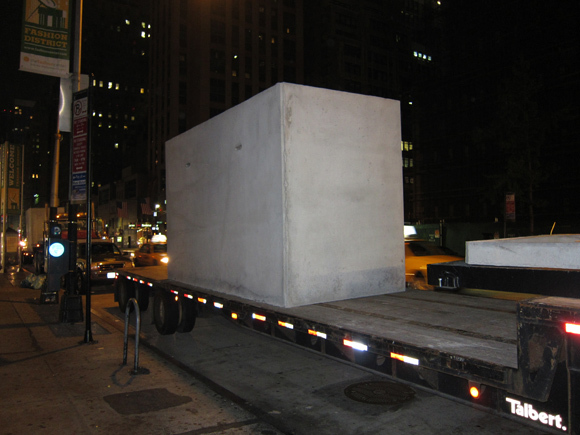 After the vault walls were placed, the floors were dropped in with a crane. You can see the cutout in the floor piece, where a sump pump will eventually be installed to keep the transformers nice and dry. Next up behind the fence? The transformers will be suspended inside the vaults, and the roofs and floors will be permanently affixed to the vault walls.